A beautiful Herman Miller interview with designer (and paper engineer/ artist/ sculptor) Irving Harper. As design director for the Nelson Office in the 1950s and ’60s, he created and collaborated on iconic furniture, products and textiles in midcentury design. While working on the Chrysler Pavilion for the 1964 New York World’s Fair, he began making sculptures in his off hours to relieve stress. Some 50 years and roughly 500 pieces later, almost every surface of his Rye, New York home is besieged by evidence of his remarkable skill and creativity. 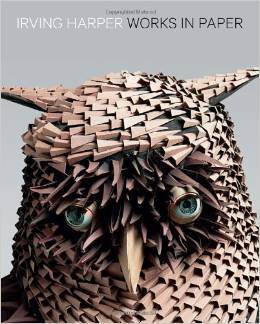 Irving Harper’s book, Irving Harper: Works in Paper, chronicles his intricate sculptures of paper, toothpicks and other household items. Excellent DIY inspiration.